I tried Gyu-Kaku for the very first time 3 years ago. 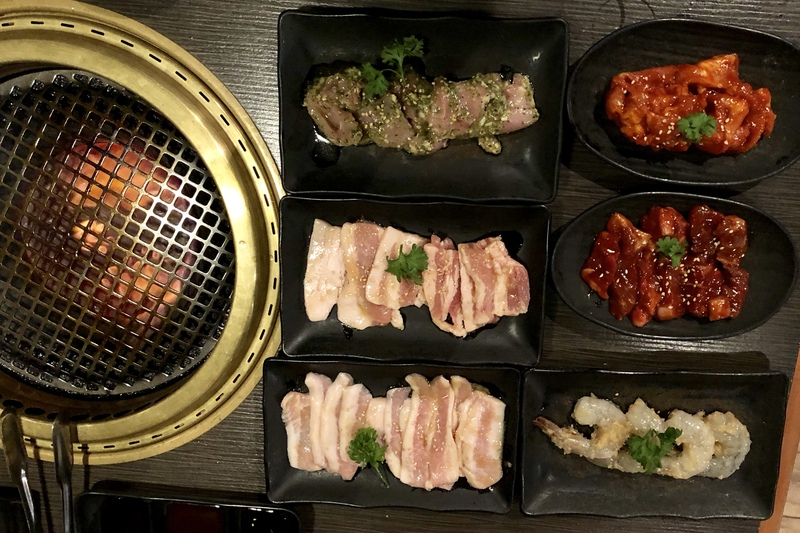 It was such a fun and delicious dinner for 4 of us at the Yakiniku specialty restaurant. I had no idea how authentic it was until I visited Japan a later. I would say, it was pretty close, especially when it comes to the extremely warm and friendly ambiance. 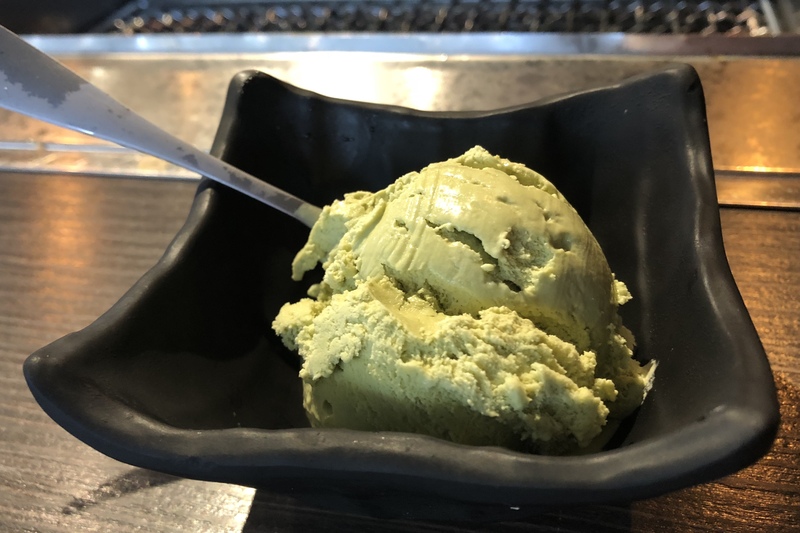 Despite being a global restaurant chain with outlets all over the world, they seem to have captured the true Japanese hospitality spirit serving quality food with excellent service. 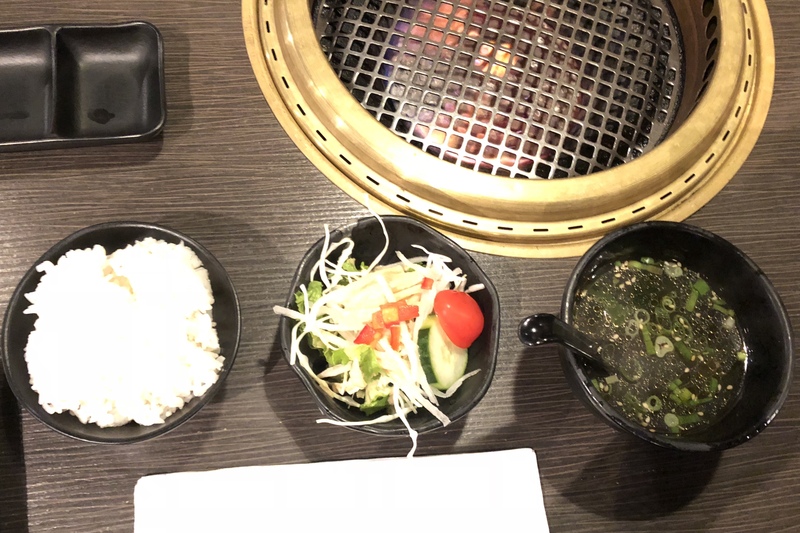 Since I moved back to Downtown Vancouver in July, Gyu-Kaku has been to my go-to lunch place when I go for a casual date or meeting friends. From a person who constantly looks for new places to eat at, this says a lot. I never get disappointed here. You can definitely come here for a formal meal, as long as you don’t mind the BBQ smell lingering on your clothes. 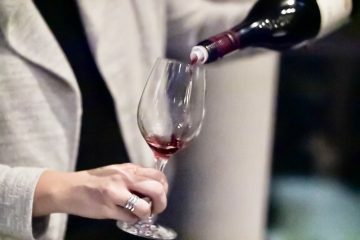 There are many ways to enjoy their set menu and here are the few choices that I have tried. This is only available for lunch, there is plenty of food for 2 people in the set. 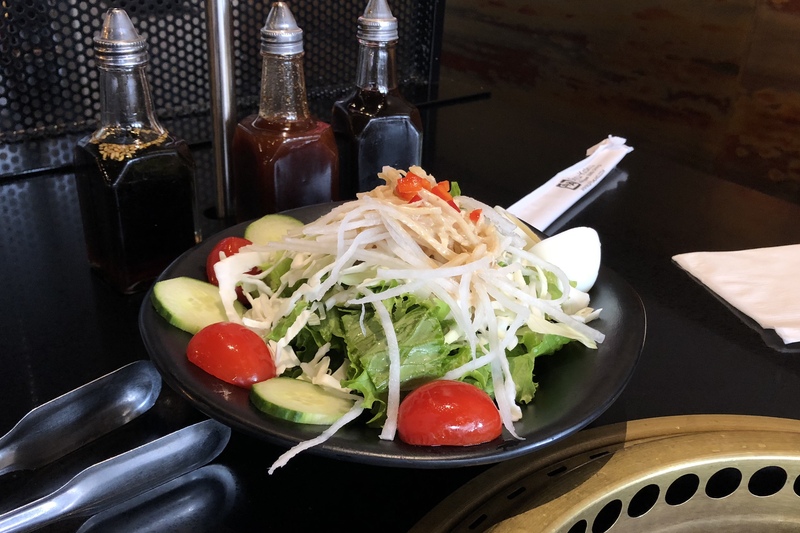 They first serve you some Chicken Karage, a large House Salad to share, and two bowls of Miso Soup. 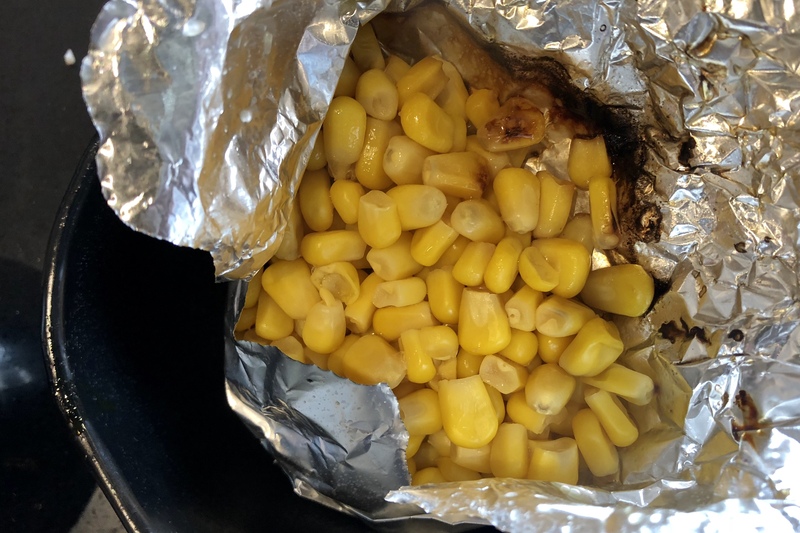 Two bowls of Steamed Rice come after. If you’re not a big eater at lunch, this might be enough for you already. 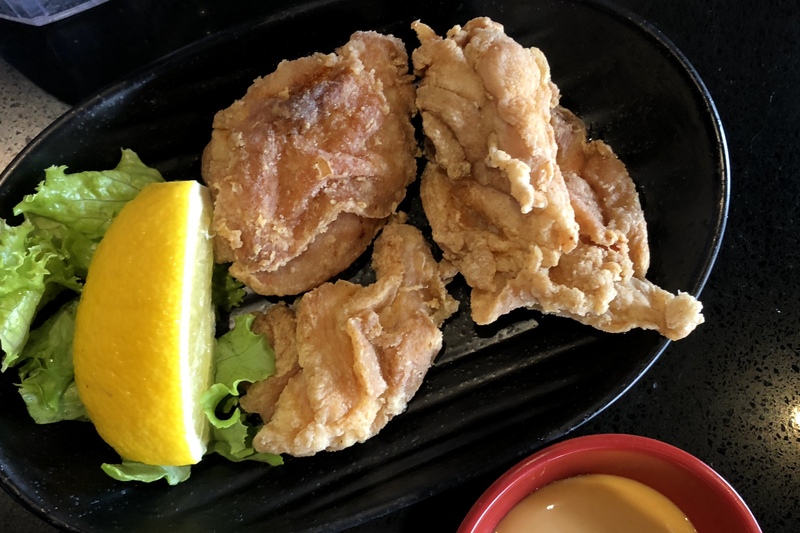 The Chicken Karage here is good, perfectly fried, not overly flavourful as its purpose is merely waking up your appetite. I also love the rice which is fantastic, maybe not imported from Japan but at least close to the good quality Calrose type. 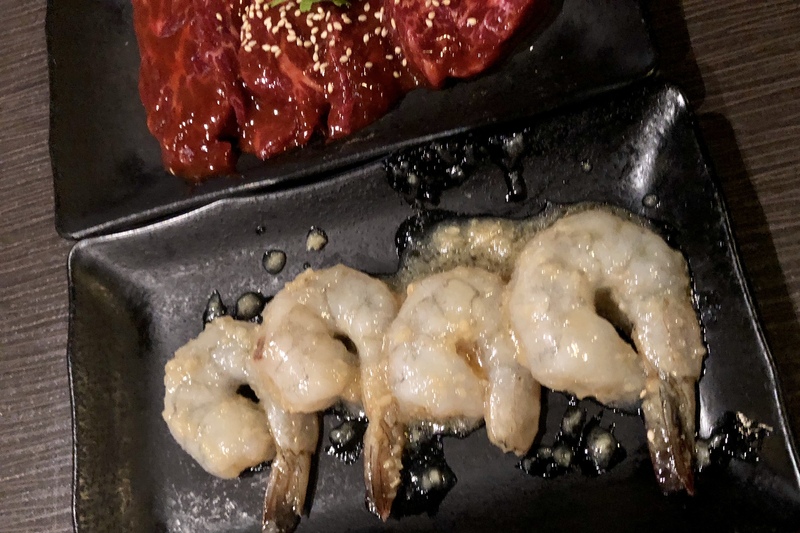 The combo set also included a very attractive collection of meat items: Premium Ribeye Steak, Filet Mignon with Salt & Pepper, Bistro Hanger Steak with Miso, and Tiger Prawns. Although alongside with the fancy sounding premium ribeye and filet mignon, the hanger steak is my favourite with the tasty miso seasoning. But the steaks are very fresh here and suggested to grilled to medium rare or medium. The prawns are dressed in an oily garlic seasoning and also tasted great after being cooked. 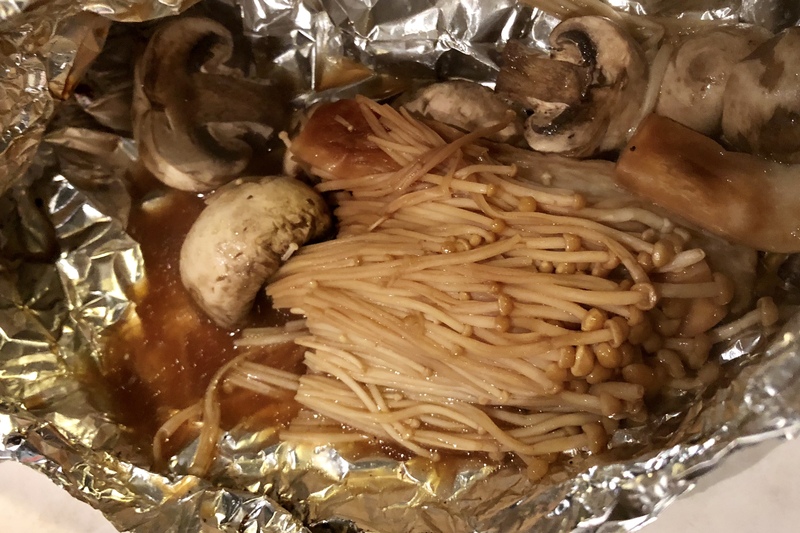 The set also comes with the Mushroom Medley wrapped in tinfoil and cooked on the grill, giving some great texture enhancer to the meal. 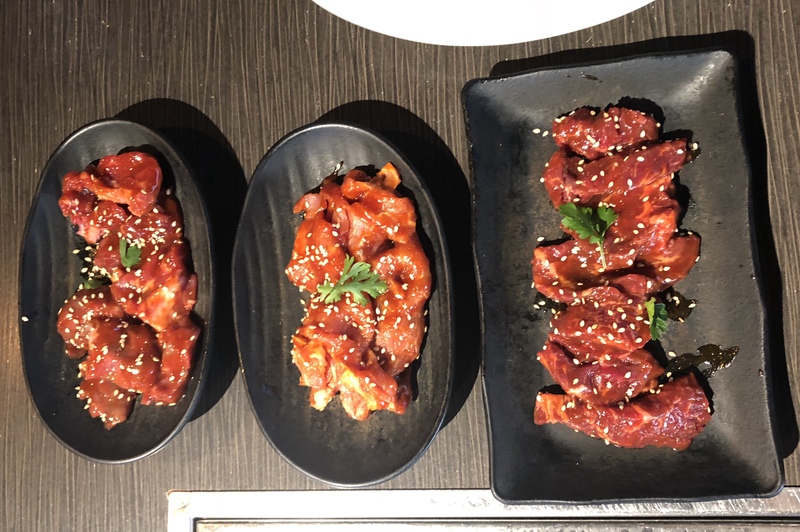 If you are meeting a friend who doesn’t like beef that much, you can always just ordered an individual lunch set, costing only $12.95 for 2 dishes of meats and $16.95 for 3 dishes of meats. So with only $34, between 2 people there are 6 dishes of meats and that’s plenty as well. The individual sets also come with rice, salad, and miso soup. 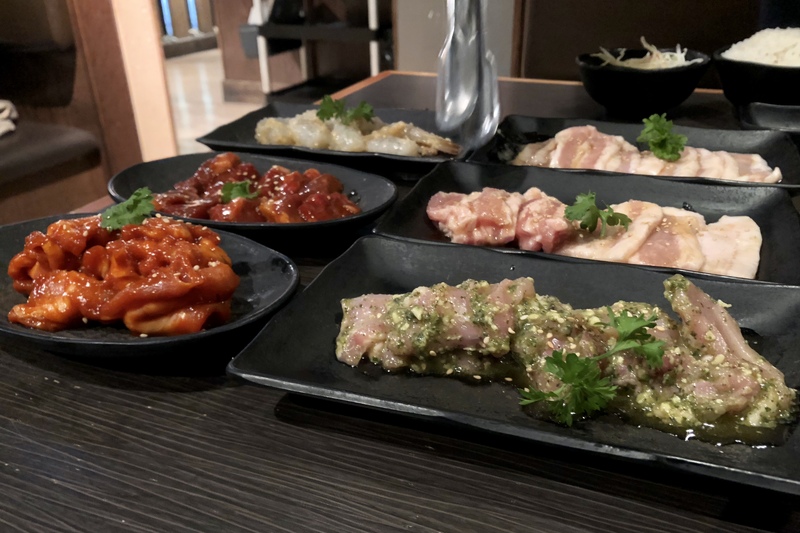 There are interesting items such as Spicy Pork, Basil Chicken, Pork Belly, and Pork Toro that I tried the other day with a Thai friend (who doesn’t eat beef). I was confused at first and thought, aren’t pork belly and pork toro the same thing? But the pork toro here refers to fatty pork, which is not necessarily from the belly. 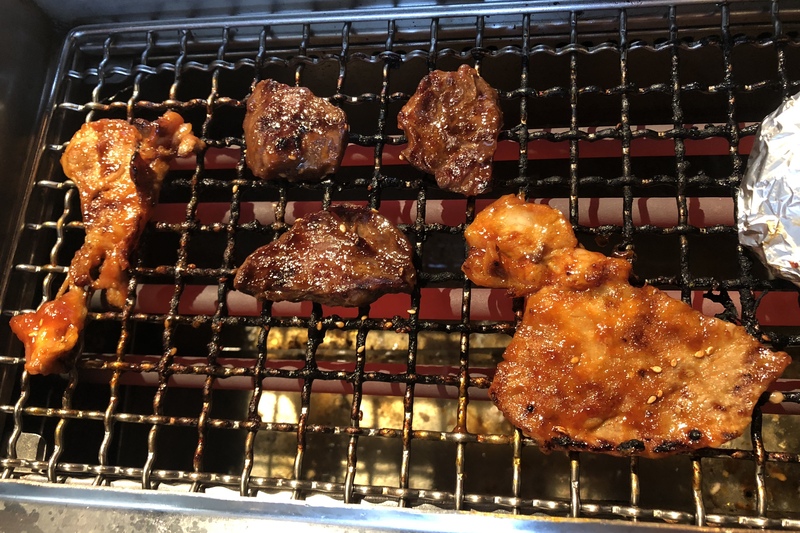 And I like the Galbi Chuck Rib among the choices, which is not in the Sakura set. The Korean style beef rib is always succulent and flavourful after being grilled. If you come here for Happy Hour or lunch on the weekends, it’s 20% off for the regular dinner menu sets. I came here with Ken on Monday for lunch, and we took an advantage on their Monday all-day happy hour deal. 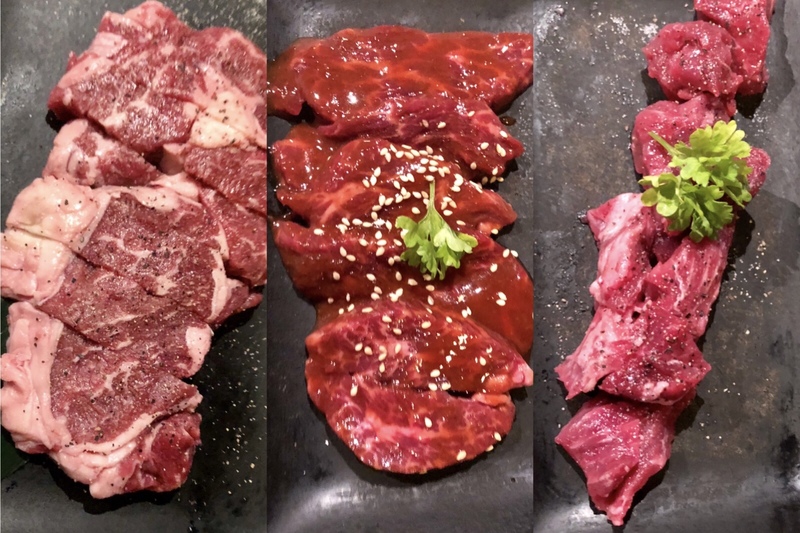 The Meat Lover Set we had featured 6 dishes of meat: New York Steak, Galbi Chuck steak, Hanger Steak, Yaki Shabu Beef, Toro Beef, and Spicy Chicken (or Spicy Pork). 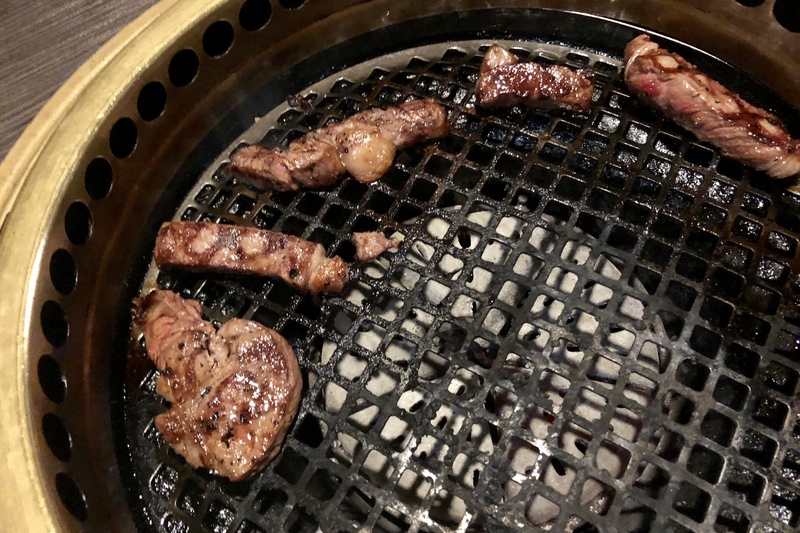 It’s great to sample the different cuts of beef on the hot grill. And the meats were all delicious in thanks to the amazing marinade and seasoning. The meat lover set comes with the usual rice, miso, soup, salad, and chicken karaage, but also edamame and buttered corn. Definitely a lot of food! All the sets come with ice cream as well. 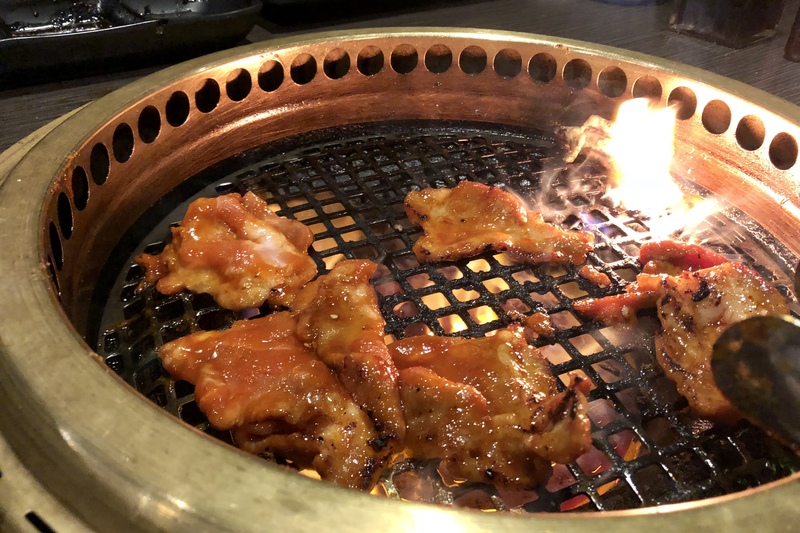 Gyu-Kaku is one of the most successful restaurant chains in the world. 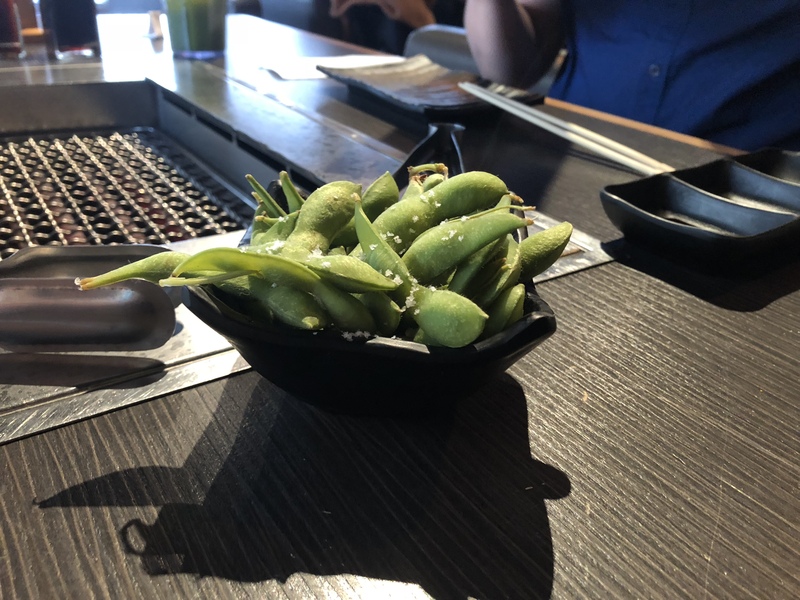 At this particular Vancouver Downtown location, they have demonstrated what a restaurant should be, showing some incredibly high quality of food and service, a great dining experience over fantastic Canadian beef and Japanese hospitality. It makes a great place for hanging out with friends or going on a date with a delicious time. And most importantly, my Japanese friends approved!